Black professionals who hope to reach administrative positions in hospital systems know to keep their mouths shut when it comes to issues of diversity, inclusion and race. Speak out, and they risk being branded angry or difficult, labels that stick once assigned. Better to have a silent seat at the table, than no seat at all. Black professionals and those of other minority backgrounds also understand the necessity of collecting master's degrees, equipping themselves with multiple advanced diplomas and crossing their fingers that it's enough to prove they can do the job. Even if the same isn't expected of their white colleagues, it's a prerequisite for getting a toe in the door. And those few minority professionals who make it to the C-suite know the importance of holding on to that position by not rocking the boat. Just being there and visible provides value and encouragement to other minority healthcare workers, students and patients. These are a few of the truths shared recently among professionals getting their master's degrees in health administration at the University of Alabama at Birmingham. These unwritten rules of healthcare are mostly kept under wraps in their professional lives, but the UAB class members—doctors, nurses and administrators at health systems and other provider organizations across the country—were able to open up in the safety of a classroom setting. Despite many of the nation's hospitals pledging to increase diversity on their boards and in their management ranks and physician workforce, and many installing chief diversity officers to that end, healthcare remains predominantly white. Racial discrimination and bias are keeping it that way. "Speaking too much can be a killer professionally. If I speak about my experiences, then I'm perceived as weak, or I'm perceived as angry. I'm perceived as not a team player; I'm perceived as a troublemaker. So to talk about these things openly and professionally, you're setting yourself up for failure," said Dr. Julian Booker, a black MSHA student and an associate professor and medical director of cardiovascular imaging at UAB. It's tough for minority executives working in the healthcare industry. They want a fair shot at landing administrative roles, but they aren't getting it. They want to right the wrongs they see at their organizations when it comes to racial and ethnic bias, but they can't risk the jobs they already have. Several of Booker's classmates didn't want their organizations revealed for fear of backlash. "We're not to a comfortable place where I can have that kind of real discussion at my work environment without some repercussions in some form or fashion, which makes us uncomfortable to speak our truth," said Wardrick Griffin, assistant chief practice officer at Gadsden (Ala.) Regional Medical Center, an MSHA student who is black. The situation may actually be worsening. Some UAB students said they feel that the tension surrounding race-related issues in the workforce, which they claimed was previously kept in check, is now bubbling to the surface in the wake of the 2016 presidential election. At the same time, hospitals and other providers today are focused on reducing disparities in healthcare access and outcomes among different patient populations. Many of these disparities arise out of the social determinants of health, including where patients live and work, and their access to good food, housing and transportation. Providers with homogeneous leadership teams and physicians who don't reflect the communities they serve will find it difficult to address those social determinants and move the needle on racial and ethnic health disparities. "Until you get individuals who understand and appreciate the culture and the challenges within (minority) communities, you can't address the risks and implications that the individuals in those communities go through," said Antoinette Hardy-Waller, CEO of the Leverage Network and member of the board of stewardship trustees at Catholic Health Initiatives. Diversity in healthcare leadership and the physician workforce has been discussed for decades. There have been conferences, roundtables, white papers, countless surveys and research studies on the subject. The American Hospital Association launched the #123forEquity pledge campaign in 2015 to eliminate healthcare disparities. Part of that pledge, which has been signed by leaders at nearly 1,500 of the 5,000 U.S. hospitals, asks signers to increase diversity in leadership and governance. The business case for having leaders and clinicians from different backgrounds has long been accepted. Experts say better outcomes stem from a workforce that resembles the diversity of its patients because it promotes trust and compliance, while mitigating bias. Yet the diversity dial has barely budged. Hospital C-suites and boards remain overwhelmingly white, even as minorities are an increasingly larger part of the patient population. Only 14% of hospital board members and 9% of CEOs are minorities, according to the most recent study by the American Hospital Association's Institute for Diversity and Health Equity—the same percentages as in 2013. Minorities represent 11% of executive leadership positions at hospitals, compared with 12% in 2013. The vast majority of hospital chief diversity officers are minorities. Meanwhile, minorities constitute about a third of hospitals' patients, a figure that is growing steadily. "It has gotten better, but very, very incrementally so. Nobody would stand up and say this is the progress we want to see in the world," Deborah Bowen, CEO of the American College of Healthcare Executives, said of the glacial pace of change. Sources point to a lack of healthcare leadership opportunities for minorities as part of the problem. Other say the pipeline for minorities to reach executive positions needs to be strengthened. Most agree that fixing healthcare's diversity problem will only come when leaders begin to talk openly about race. They say it starts with the board. "We're still uncomfortable talking about matters of race," said Charlotte, N.C.-based Atrium Health CEO Gene Woods, who is African-American and Spanish, and a recent chairman of the AHA. Atrium was formerly named Carolinas HealthCare System. "What I advise my CEO colleagues is if you have good intentions, and 95% of the people I have the privilege of interacting with have good intentions … have a conversation with their board. How do we reflect our communities? Where do we need additional voices in the room for those who aren't represented in our conversations?" Few minorities could be found in the C-suite when Woods began his career in healthcare more than two decades ago. Today, Atrium is one of the systems that's ahead of the curve, with minorities filling a third of board positions, he said, adding that the organization is committed not only to racial diversity, but gender diversity. Atrium reached this point by asking how it could care for its most vulnerable communities. "You start thinking about who needs to be represented in solving for these social determinants of health," Woods said. "You start thinking about the police officers that need to be brought into the conversation, the schools that need to be brought in, the businesses, and once you start working from that perspective you start getting the diverse voices that you need to solve those issues. Maybe some of those voices need to be more present inside of the organization." On the West Coast, Kaiser Permanente has successfully cultivated a diverse workforce by collecting data on the racial and ethnic makeup of its patient population and ensuring the makeup of its staff keeps pace. Minorities comprise 43% of Kaiser Permanente's board and a quarter of its C-suite. In 2017, nearly 65% of Kaiser's total workforce were racial, ethnic and cultural minorities, and nearly 75% were women. The system is also focused on recruiting diverse students and faculty for its new school of medicine, slated to open in 2019. Having a workforce reflective of its patient base helps the health system design care plans effectively. It also promotes a stronger doctor-patient relationship and makes miscommunication less likely, said Dr. Patrick Courneya, Kaiser's chief medical officer. By creating a workforce that understands different patient populations' barriers to healthcare access, the system can begin to change in a way that's sensitive to patients' needs, instead of forcing those patients to conform to the healthcare system, he said. A commitment to diversity starts at the top, said Dr. Ronald Copeland, senior vice president and chief equity, inclusion and diversity officer. "Our leaders have fully integrated the role of equity and diversity and inclusion into our formal business strategy," he said. "They see the value in that and have continued that practice without exception … as opposed to treating representation, diversity and inclusion as a sideline and not a strategic issue." 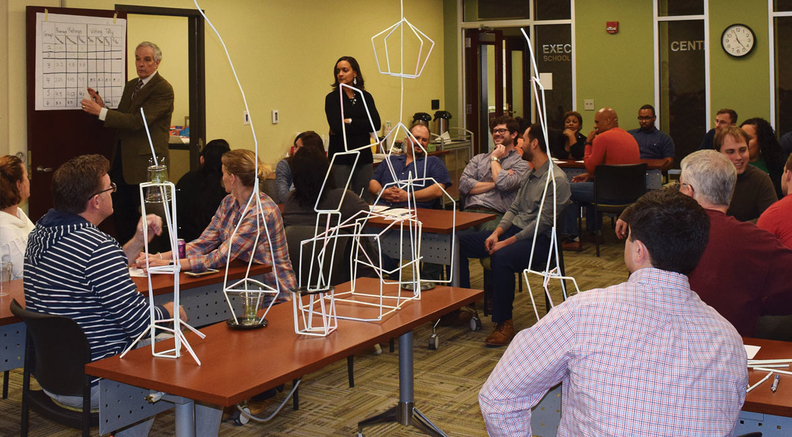 Nashville-based Vanderbilt University Medical Center is testing a tool that requires project leaders to choose people with different attributes and backgrounds when building teams. The tool asks leaders to examine whether the team includes racial, ethnic and gender diversity, explained Dr. Andre Churchwell, Vanderbilt's senior associate dean for diversity affairs. Racial/ethnic health and healthcare disparities persist despite efforts to close the gaps. Minorities are known to live shorter lives than whites. African-Americans also suffer higher rates of each of the most common types of cancer and a higher incidence of obesity. The data are limited, but some studies have shown that having a diverse healthcare provider organization is good for patients. A 2003 study by researchers at the Johns Hopkins University School of Medicine, for instance, found that African-Americans who saw physicians of the same race were more satisfied and rated their physicians as more participatory than patients who visited doctors of a different race. Moreover, a 2004 report by the now-disbanded Sullivan Commission on Diversity in the Healthcare Workforce determined that the lack of diversity among healthcare industry professionals may be a greater cause of disparities in access and outcomes than the lack of health insurance. In an organization that's diverse, "providers end up being better agents. They communicate better with their patients; they understand and empathize with them; and they anticipate their needs. Things don't get ignored," said Darrell Gaskin, a professor at the Johns Hopkins Bloomberg School of Public Health. Many hospitals by now have implemented training programs to promote cultural competency and eliminate unconscious racial or cultural bias. The Leverage Network's Hardy-Waller characterizes such training programs as "diversity-lite," saying two or three training sessions is unlikely to eradicate a person's implicit bias. Putting minorities in board seats is a better way to tackle disparities, she said. But board seats don't turn over often, and when they do, members choose someone they already know and are comfortable with. That often translates to someone who looks like that board member. "People will say that, 'We want to be diverse, but we can't find the diverse talent,' " Hardy-Waller said. "I know for a fact that there's huge diverse talent out there and they're hiding in plain sight." The Leverage Network is working to position black healthcare professionals for board positions by training them, helping them network and then sponsoring them when positions open up. The Bluford Healthcare Leadership Institute, now in its sixth year, is operating at the other end of the spectrum by cultivating a pipeline of young black talent for governance positions in healthcare with the goal of producing a cadre of talent sensitive to vulnerable populations. The institute recruits sophomores at historically black colleges and puts them through an intensive two-week introductory program to healthcare leadership. Students are later placed in paid summer internships at healthcare systems around the country, including Henry Ford Health System and Atrium Health. The program has recruited 67 scholars and coordinated 55 internships. "Everybody runs into some obstacles. The issue is not necessarily the obstacles, but the opportunities," said John Bluford, president and founder of the institute and former CEO of Truman Medical Centers in Kansas City, Mo. Fair opportunities are what the students at UAB are asking for. "If we talk about how to make it better; it's people in leadership roles who come through this program and heard about this experience and try to make it better for people who are coming along," said Kimberly Payne, an MSHA student and associate vice president of ambulatory services at UAB Health System. "It may not always be a black person that I put in a role, but I'll feel good knowing I put the right person in that role, and I didn't put them in that role because they were white or because they were black. I think that's what we're all asking for—just be treated fairly, and to just be seen on the same playing field regardless of the color of your skin."